URL shortener was initially developed by Twitter considering their 140-character limitation. But since there are many URL shortener sites came in existence. There are many top URL shortener sites which are doing perfectly fine and many have even started monetizing the short URL. URL shortener sites like shorte.st monetize the short URL and you can even earn money from it. But today we are not focusing majorly on the money part and instead focusing on best URL shortener sites you can use. Especially while sharing the link on social media sites we should use short URL in order to keep the post small and precise. So, as you know why one should use shortened URL, let’s see some best URL shortener sites you can use for shortening URL. In fact, many big companies like Facebook (fb.com, Facebook acquired fb.com) and Google (goo.gl) are having URL shortener service. Here are some of the best URL shortener services which you can use to short your long URL. All these are free URL shortener sites and even you can customize your shortened URL easily. Let’s start with the best URL shortener and see how these work and help you in getting the short URL. Goo.gl is world’s leading and most used URL shortener service currently. It has been brought by the Google and is a free service like many other Google tools. Also, it is the easiest URL shortener tool I found. Just enter the URL you want to shorten and it will give you the shortened URL in seconds. Also, if you are logged in to your account, then you can have the history of the shortened URL as well. The other benefit I found with google URL shortening is the analytics. You can check how many times your shortened URL has been clicked, the location of the hits, browser, device etc. very easily. Usually, many social sites block the uses of shortened URLs but if you are using goo.gl then stay assured against any such issues. Bit.ly is another most popular URL shortener site one has come across. They are one of the oldest URL shortener sites in the world as well. 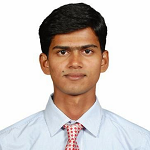 You can get all the features what goo.gl is providing at bit.ly as well. You can customize the shortened URL as well as per your need. For example, I can make URL like bit.ly/tricksroad etc. for easy reading of the shortened URL. But I don’t recommend using Bit.ly for those who are into affiliate marketing. According to Bit.ly FAQ, they add affiliate cookies into URL shortened by free users. So you won’t be getting for shortened affiliate link via Bit.ly. They offer both free and paid plans. 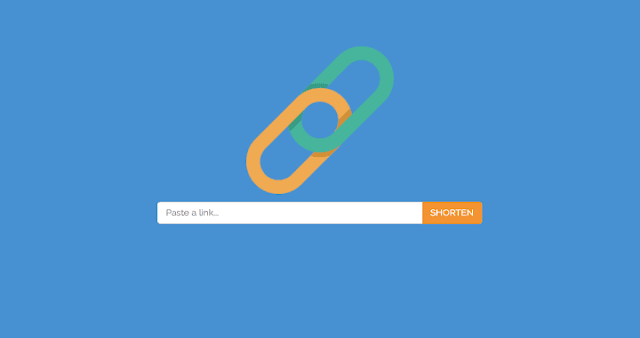 Shorte.st is another leading URL shortening site you can use. The best part is with Shorte.st you can also earn money. That means if you are shortening your URL through Shorte.st URL shortener then for every click on the shortened URL, you will get paid as well. They are not just the URL shortening tool but a URL shortening advertising network. You can read our shorte.st review for more details. The major feature I liked about shorte.st is the mass URL shortening feature. That means you can shorten 20 URLs in one go. If you are blogging on WP platform, then you may also use their WP plugin to earn some extra bucks. Note: I would suggest not using shorte.st for your personal use as it will first show the ad and then the destination will be reached. So, this ad can irritate to your friends/family. That’s the reason you should avoid this URL shortening service for personal use and while sharing the URL on social media. Owl.ly might be less known to you but it is the official HootSuite URL shortener tool. You can use this URL shortener site from the web or mobile no matter you are a HootSuite user or not. It also has all the analytics and tracking feature you can find with other shortening sites. And of course, owl.ly is also a free URL shortener. Su.pr is an official URL shortener tool from StumbleUpon. It allows you to syndicate content to StumbleUpon, Facebook and Twitter at the same time, suggests the best time of day to post and allows you to schedule posts in the future. StumbleUpon is quite a popular social site and so you can trust this URL shortening site and can use for both personal and professional purposes. These were all about the best URL shortener sites you can use to shorten your long URL. In fact, all these 5 sites are best free URL shortener and can be used while logging in or without. But it is recommended to log in first and then shorten the URL as this will allow you to check the analytics of that shortened URL. If you are not looking to monetize your shortened URL then it is good to use goo.gl for all the use. Else you can also try bit.ly. If you are looking for a trusted URL shortener and also want to monetize it, shorte.st is best. Which URL shortening tool you use to shorten your long URL?